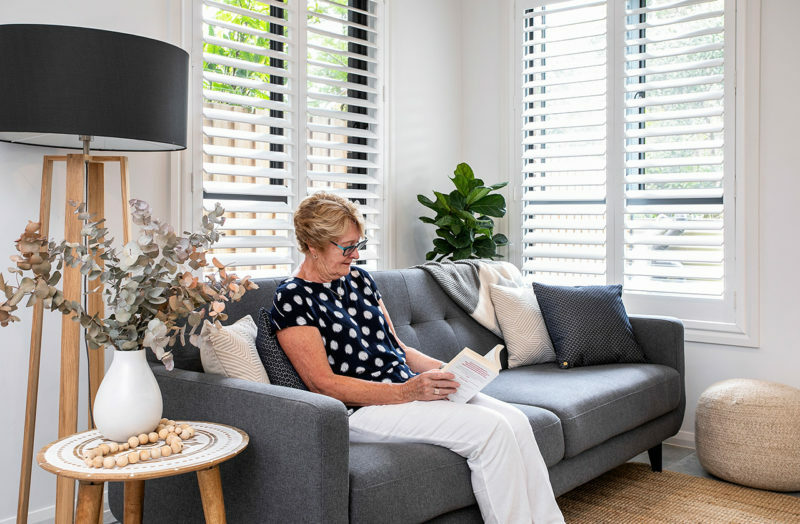 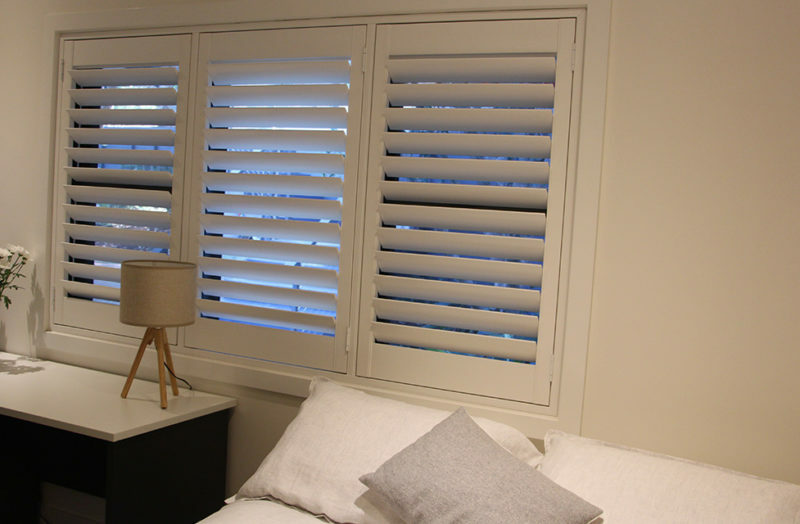 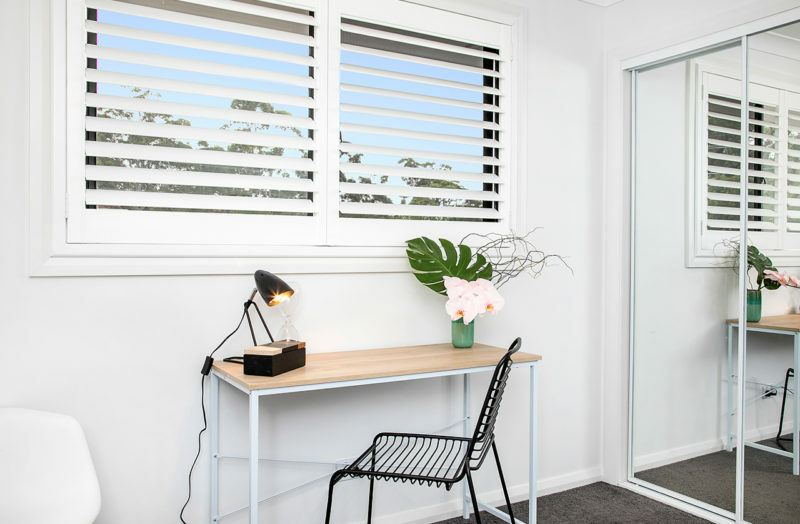 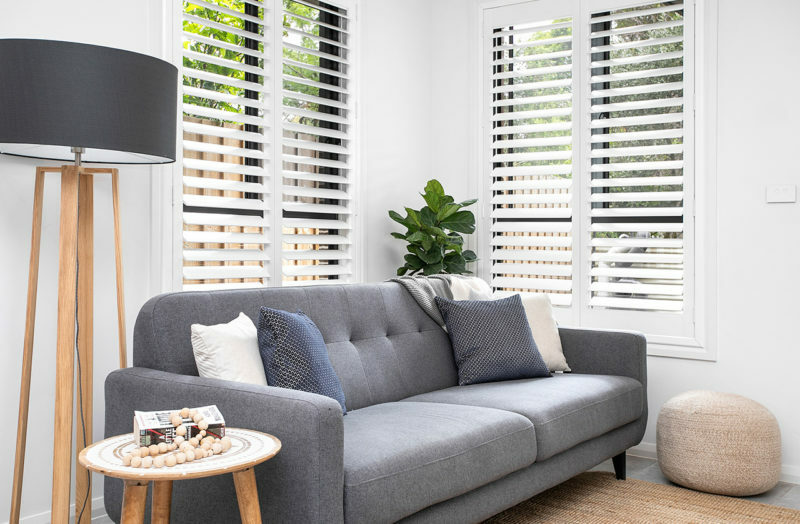 SP Screens custom made plantation shutters are constructed from the highest quality materials and are available in a wide range of colours and timber stains. 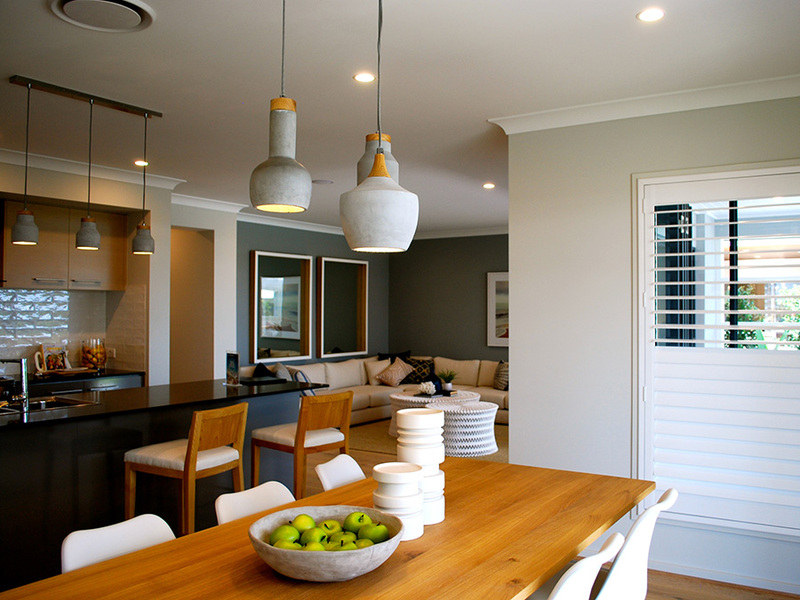 Timber or Fauxwood? 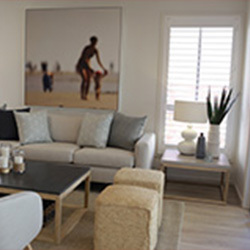 …your choice. 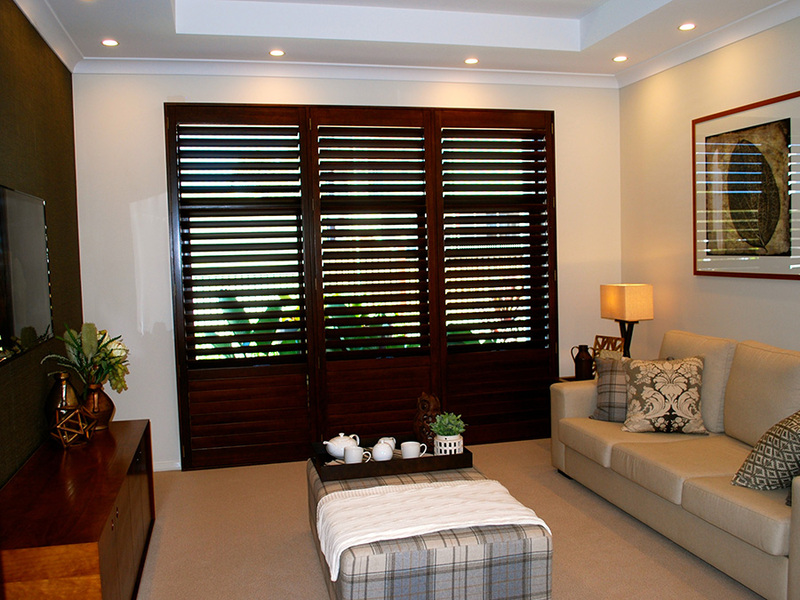 Choose from Paulownia Timber, Basswood, or Fauxwood plantation shutters in a range of styles such as Bi-fold, Sliding, Fixed or Hinged Doors. 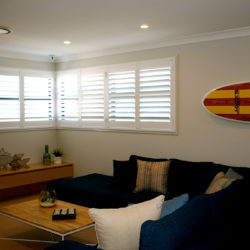 The elliptical blades can be operated with ease by hand and adjusted for optimal privacy and energy efficiency. 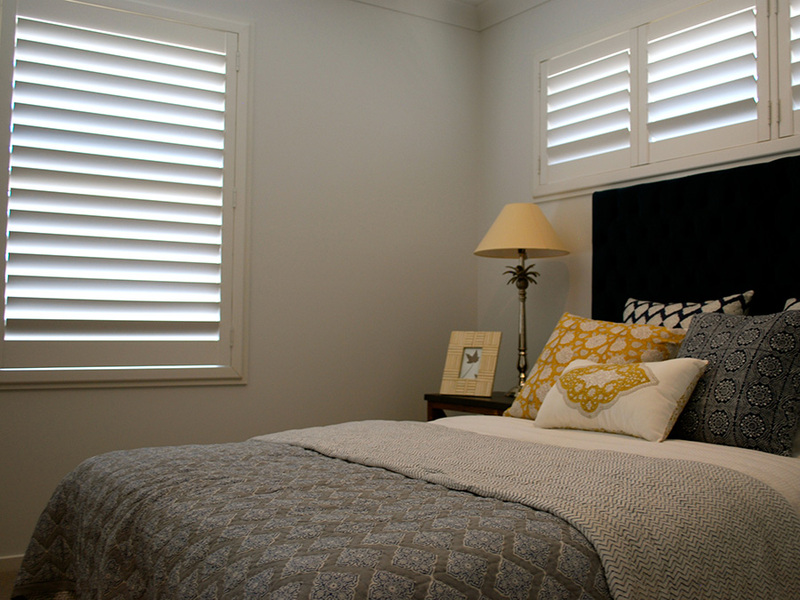 Save on heating and cooling costs with our quality custom made plantation shutters. 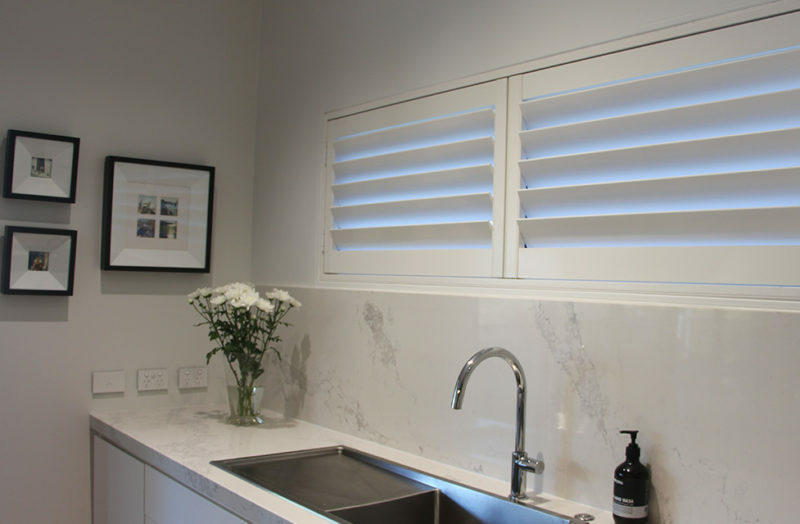 Paulownia has similar strength and weight characteristics of Western Red Cedar with fantastic water and fire resistant properties, however, Fauxwood (PVC) shutters are best for wet areas. 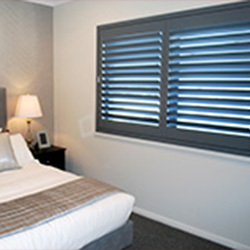 Low thermal conductivity – allowing excellent insulation properties. 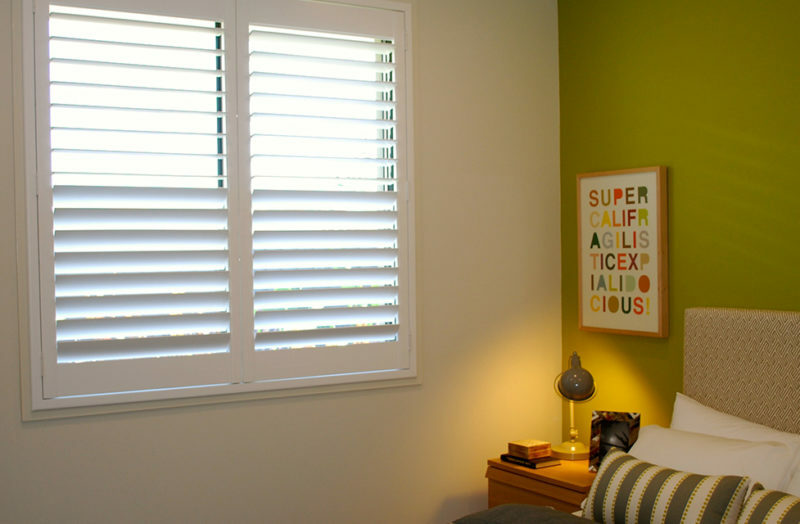 Basswood has a fine texture, giving basswood plantation shutters a smooth finish and a great choice for staining with a consistent grain. 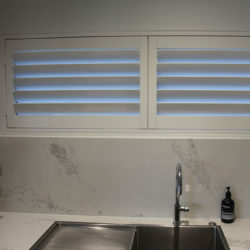 Our fauxwood shutters are made from PVC with an aluminum insert in each blade, stile, and top and bottom rail for added strength and durability, and also reduces bowing. 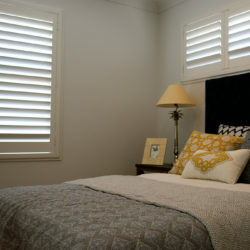 Our plantation shutters are custom made and painted or stained after manufacture for an optimal finish. 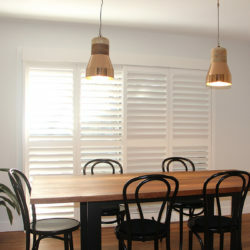 Each fauxwood plantation shutter receives 2 layers of polyurethane paint. 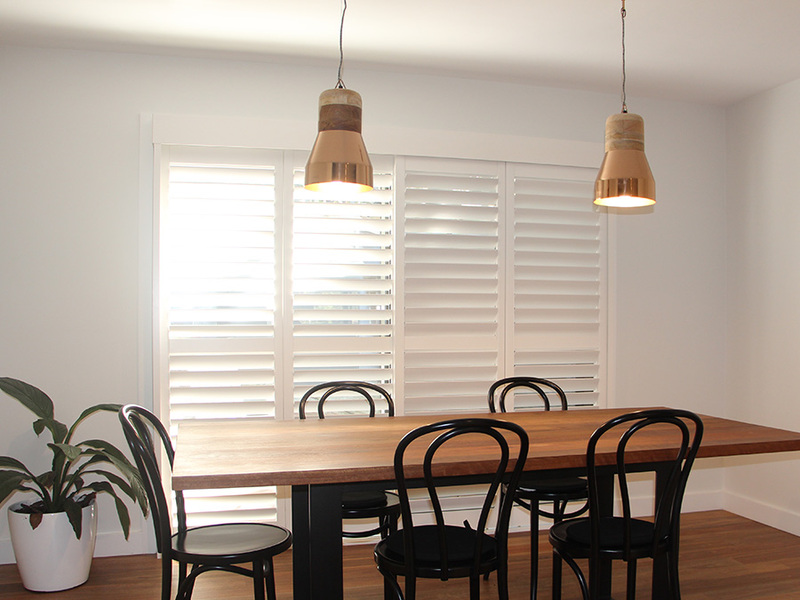 Each timber plantation shutter receives 5 layers of polyurethane paint, lightly sanded between coats to ensure a smooth and even finish. 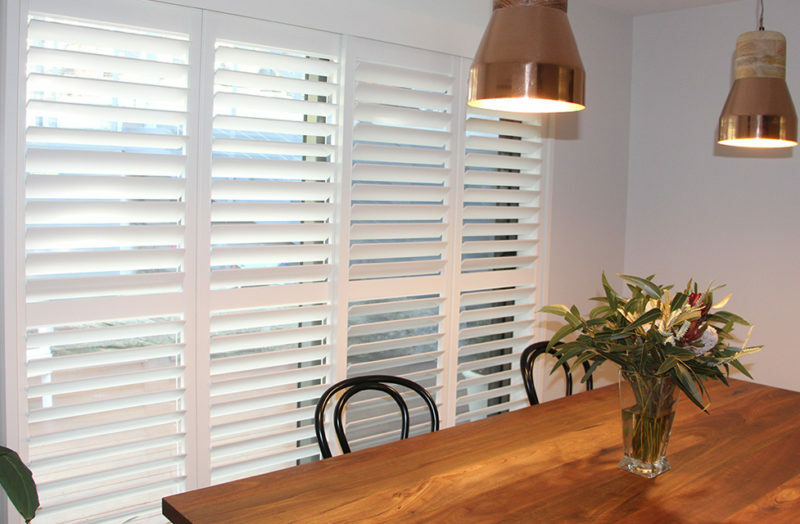 Where a Plantation Shutter is stained the grain and any knot in the timber will be visible. 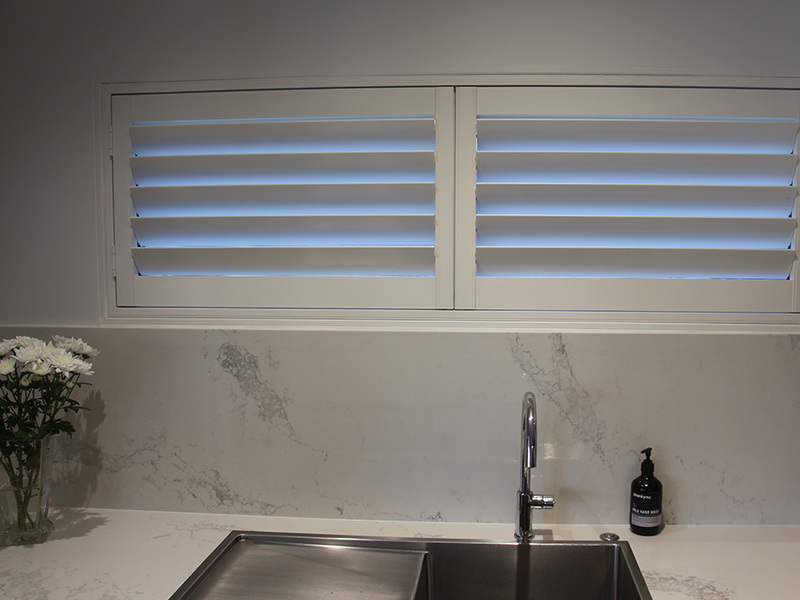 This is considered a feature of the product. 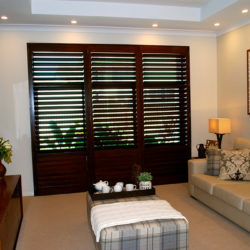 Fixed, Hinged, Sliding and Bi-fold, and special shapes are available. 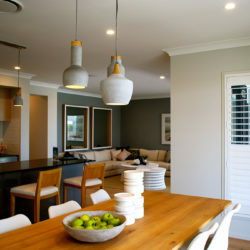 Panels greater than 1800mm in height will require a midrail. 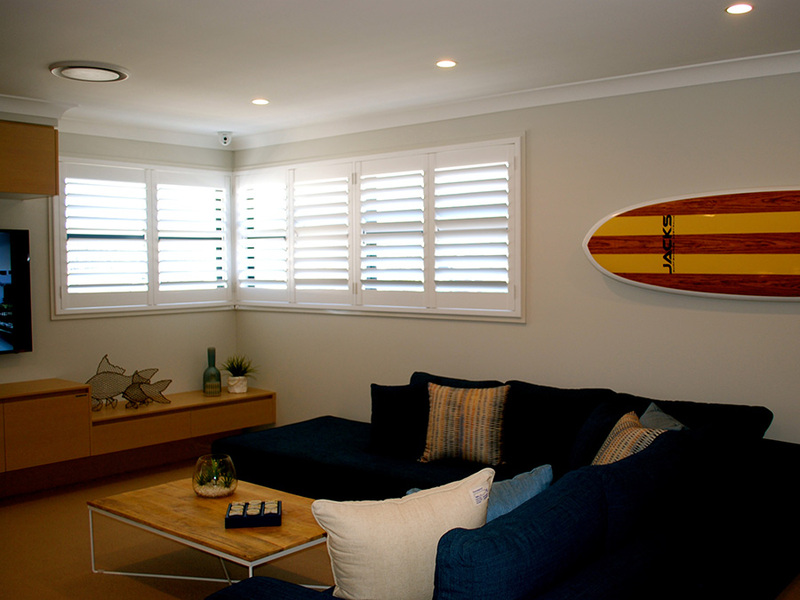 It is common that any midrail is aligned to any transom or some other structure to minimise the visual impact. 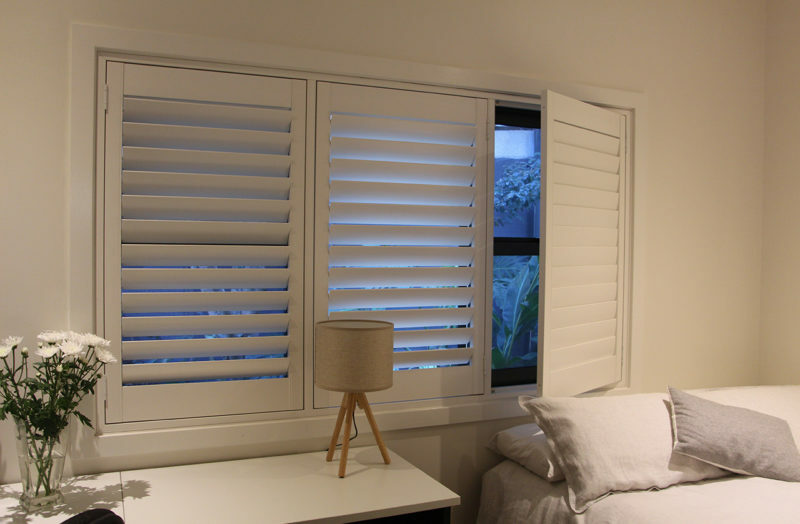 Hidden tilt rod, Centre tilt rod and Offset tilt rod options available for both PVC and Timber shutters as standard.